This years event is in the Black Box, in Belfast’s Cathedral Quarter and by now you know that 2016 is a special year, as the World AeroPress Championship is being held in Dublin later in June. The competition is free entry for spectators and, on the night, there will be beer from Boundary Brewing, the Belfast debut of the Picture Bus as well as great music & we’ll be sure to squeeze some coffee in there somewhere! Don’t forget, to register for spectator tickets & get more info click here. And, here’s this years coffee…. Bailies Handroasted Coffee are once again delighted to be teaming up with Established to sponsor the NI Aeropress Championship. Here’s a little bit more info about the coffee that this years competitors will be using. The Kainamui washing station in Kirinyaga region services 1800 smallholders, each of them owning on average 200 trees. The nutrient and element rich, red volcanic soil provides an ideal medium for the SL28 and SL34 varieties grown by these producers. Once the ripe cherries are picked, they are brought to the washing station by the farmers. They are then weighed and loaded into a de-pulping machine. 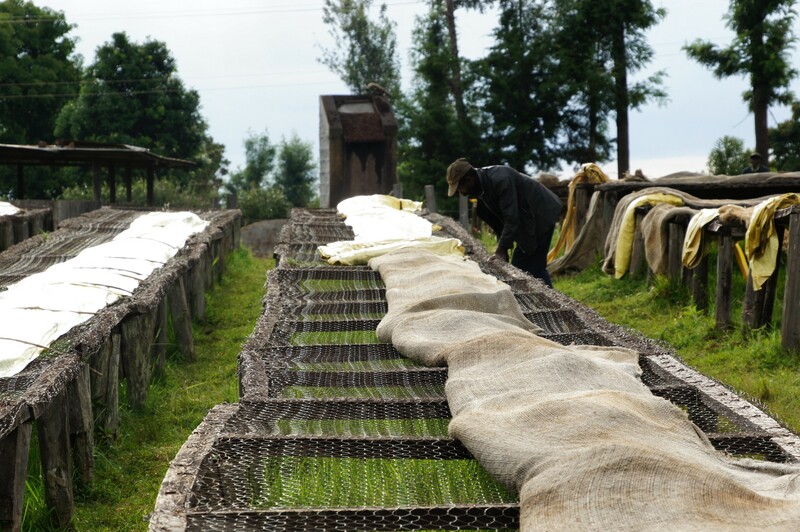 After removing the majority of the flesh, the beans are subsequently fermented for 16 to 20 hours, before they are carefully washed and sorted by weight, ensuring that any poor quality beans are removed. Following this, they are moved to tanks where they sit under water for a further 24 hours. 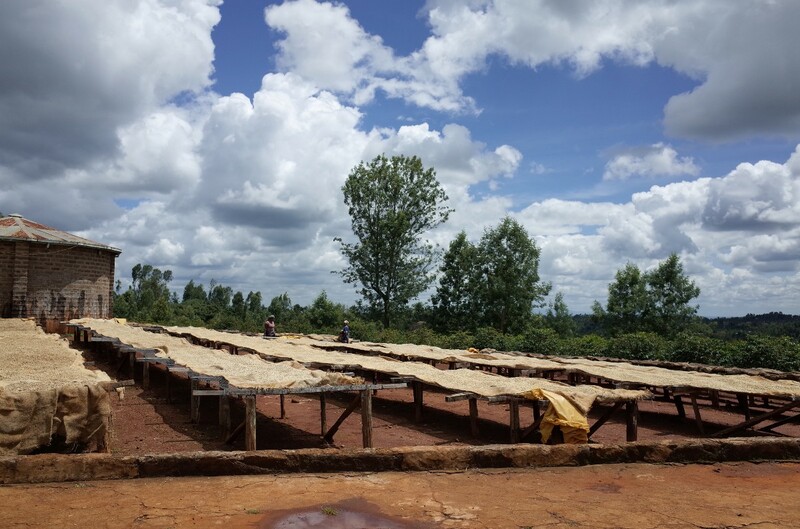 After soaking, the coffee is spread out on raised beds and allowed to dry for seven to 15 days. (Note: AA refers to the bean size, where AB and PB are also produced here, AA is the larger beans). 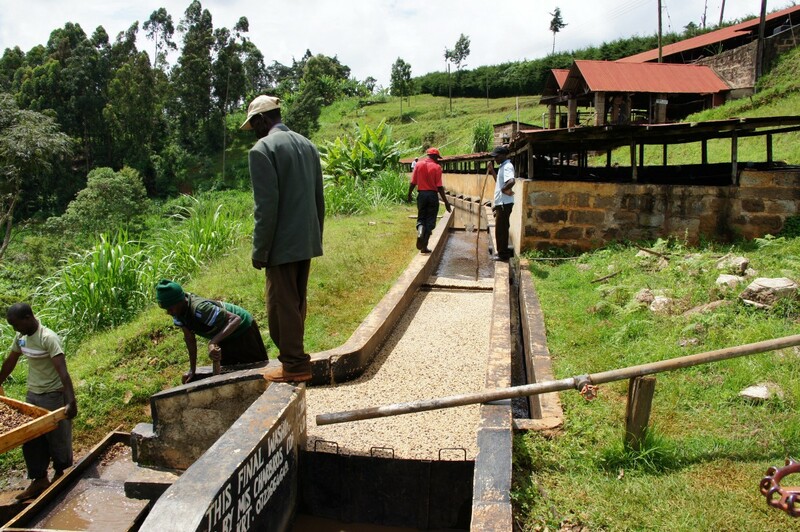 The Kainamui washing station does more than simply allow local farmers to process their coffee, it also supports its members by providing them with financial assistance for school fees and farming needs. This is their freshest crop harvested in December ‘15/January ’16 and the green beans are vacuum-packed in cases of 2 x 15kg bags to protect freshness before being transported. 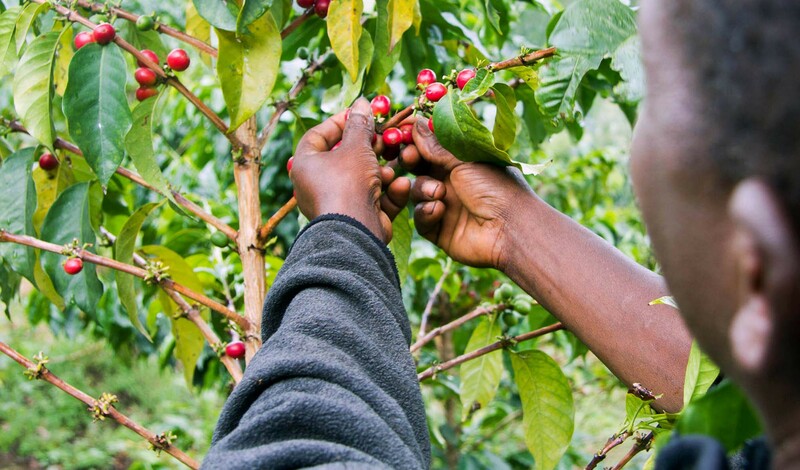 This is an exceptional example of Kenyan coffee and every single brewing approach will highlight different aspects of its character. Rather than steer you in a particular direction by providing cupping notes, we’re looking forward to seeing which notes and tones you choose to bring out most through your brewing skills and we hope you enjoy getting to know it during your practice for the competition.